Last week, the Italian Institute of Culture (IIC) organised an evening to celebrate the end of 2018. 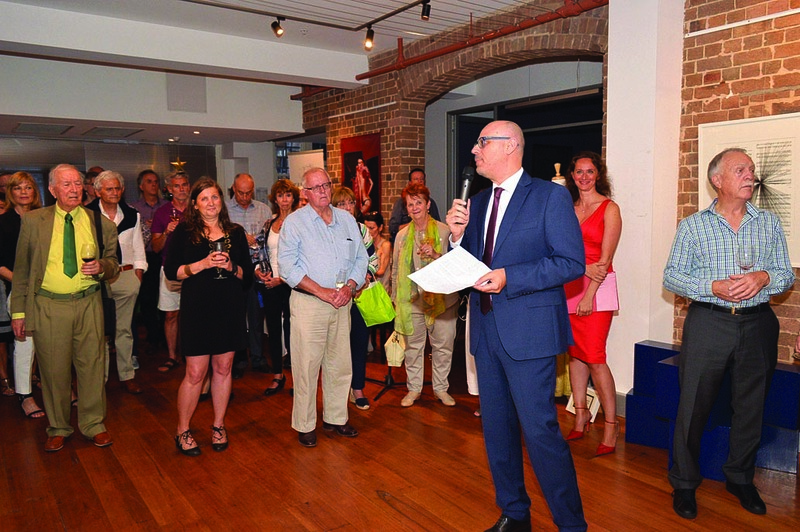 The latest recruitment to the IIC team Silvia Gardin, who manages cultural events, welcomed Consul General Arturo Arcano, Vice Consul Simone Baraglia, teachers, students, members, friends and sponsors and recognised the large number of people present. Managing director Lillo Teodoro Guarneri then spoke, remembering his arrival in Sydney one year ago. “Looking over the year, today I can say that thanks to the efforts of many people, there were a great number of events organised, more than 50, an enormous number when we consider how many staff members there are at the Institute,” Guarneri said. Amongst the many events of the year were concerts of classical music, pop, jazz, renaissance, ethnic music, shows and cooking, economy, design, medicine, science, nanotechnology, crystallography, poetry, language and computer science events. “I’m sorry if I seem proud, but I am proud of our team’s work,” Guarneri said. “As you know, Italians are very individualistic but I found that the Institute has a team of people who know how to work together, and I must thank each and every one of them profoundly. “Honestly, I am not able to comprehend how we were able to achieve this result; my gratitude comes from the heart for this group who worked so cohesively and with such dedication. Consul Arcano then congratulated the Institute and staff for having organised so many events, something which is not easy to do but which was achieved with considerable success. Arcano then continued, anticipating that next year, meetings with the ambassadors and consuls will be held to propose a strategy for improving the promotion of Italian language and culture in Australia. During the reception, singer Lorenzo Santangelo livened up the evening with his songs, accompanied on piano. The entertainment continued with Italian karaoke and the participation of all those who love Italian music and don’t limit themselves to merely listening. The evening concluded with the drawing of the lottery. This story appeared in the Thursday December 13, 2018 edition of La Fiamma.